Click on an image to enlarge the photo and read the caption. More photos coming soon! *If you have a photo to share, send it to dan@farmrescue.org. 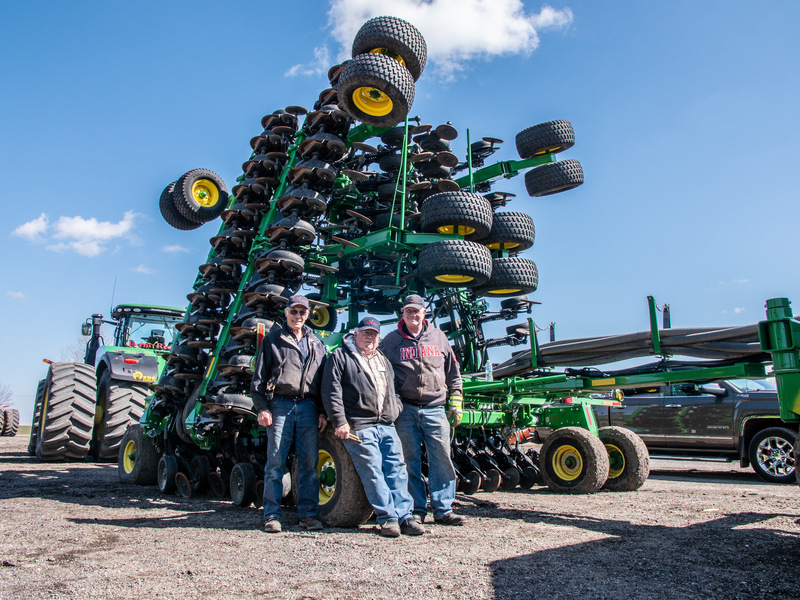 Garry Deckert, Alan Enger and Lee VanRuler take a break from their setup duties to pose for a quick picture in front of their hard work. 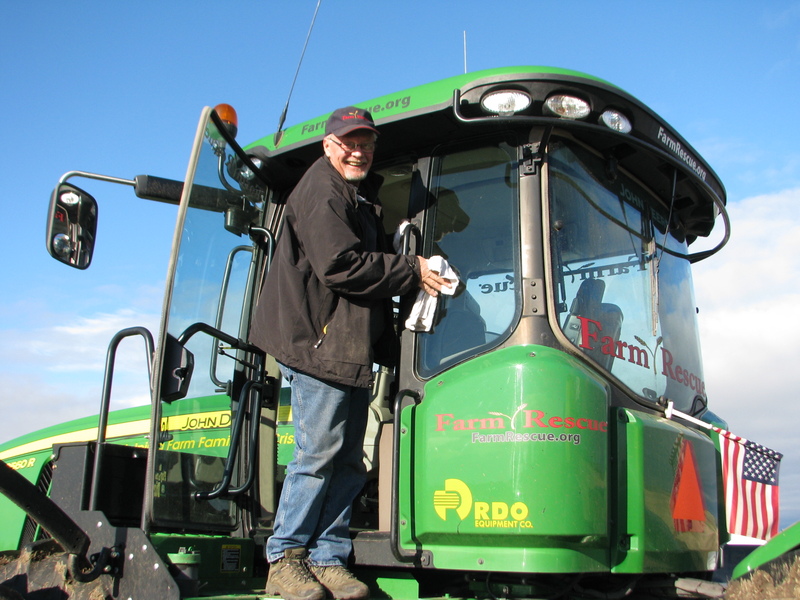 Every season, Farm Rescue volunteers take the time to do the hard work of setting up the equipment and get it ready to go. While they give of their time, they never lose their smiles. 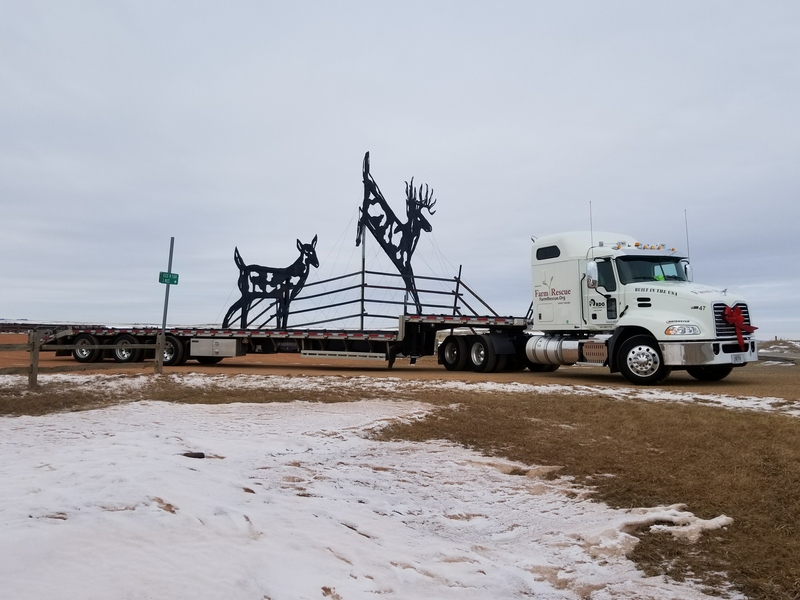 Mark Baumgarten and his crew are friends and now Farm Rescuers. 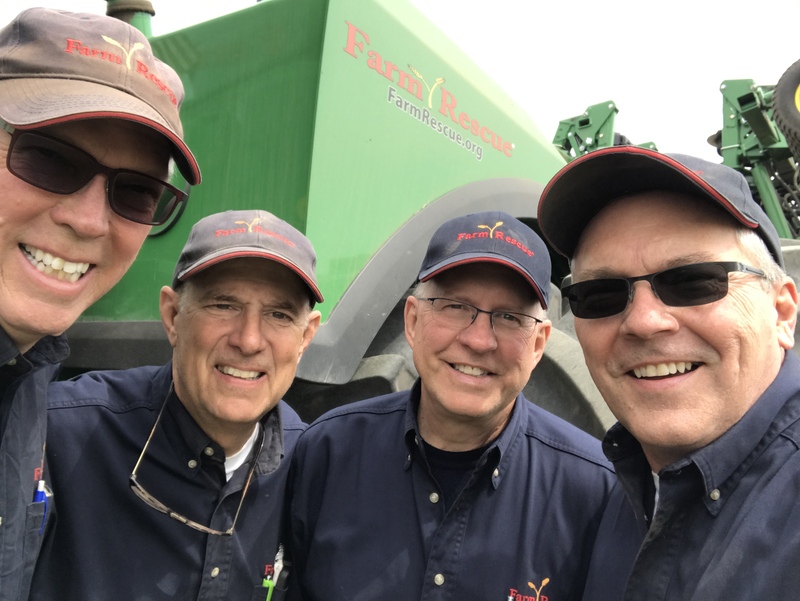 There's nothing like a selfie with friends while helping farm and ranch families in crisis! Every once in a while, we all like a nice clean cab to start the day. 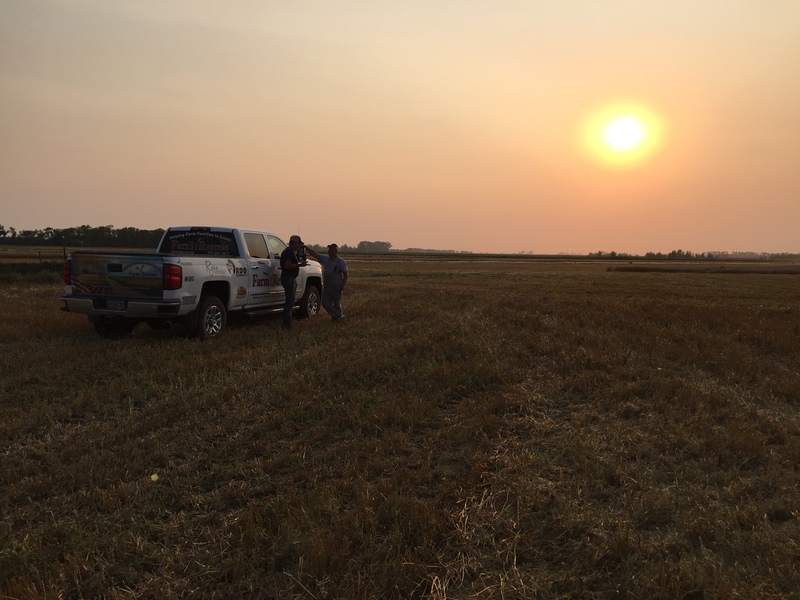 The sun sets on a freshly harvested field. 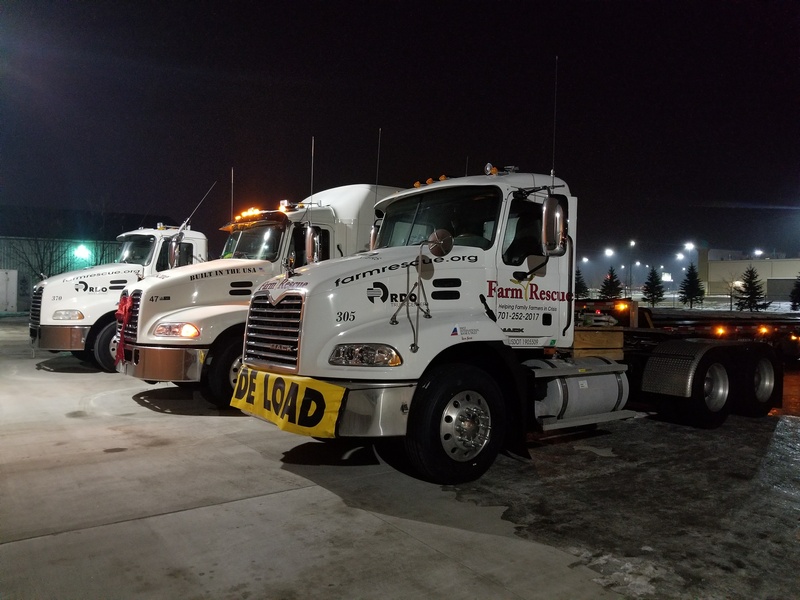 Following Operation Hay Lift, Three Farm Rescue Trucks are parked at RDO Truck Center, ready for a once-over. Sometimes a "Thank You" comes in the form of a thumbs-up. 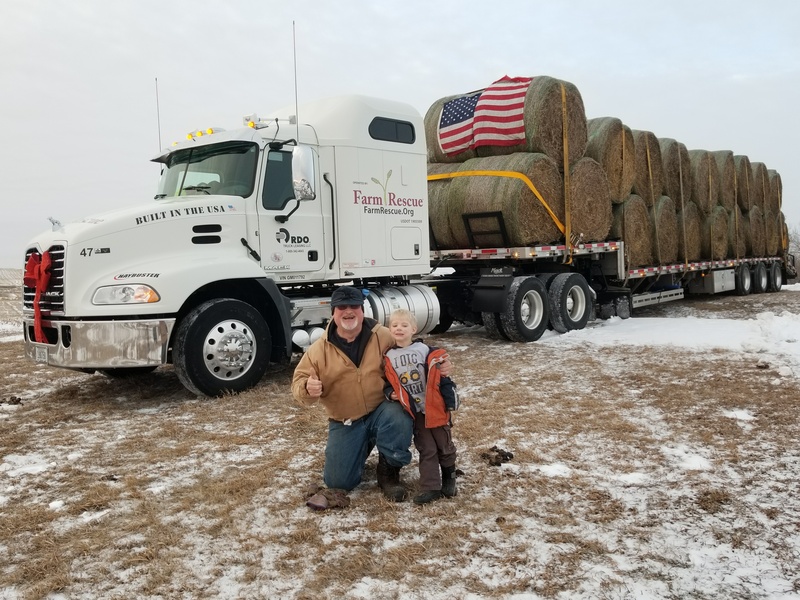 Justus Wielenga, volunteer, poses with this happy recipient of hay hauling for ranchers affected by wildfire and drought. Photo of the Year! An empty hay hauling trailer pauses in its route to catch this shot on its way to get another load. 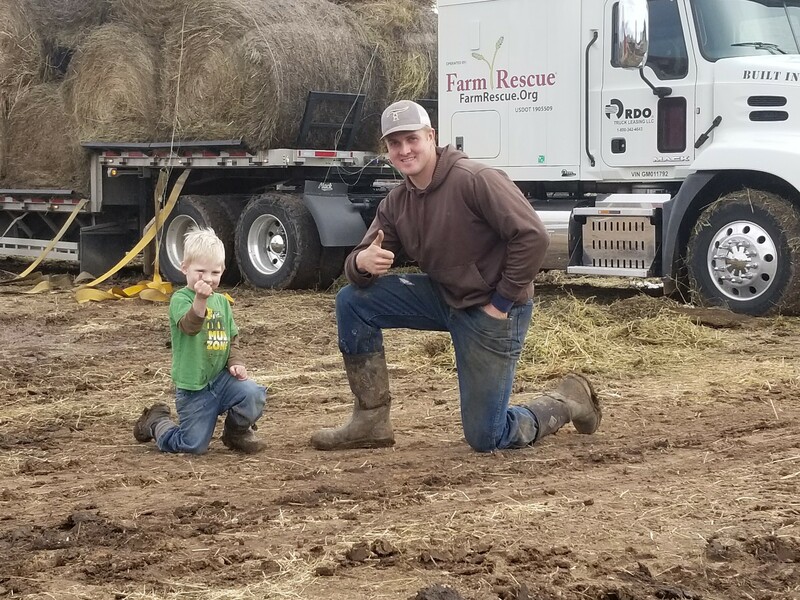 Justus Wielenga, kid volunteer, poses with a rancher who received hay hauling from Farm Rescue because a wildfire burned his hay supplies. 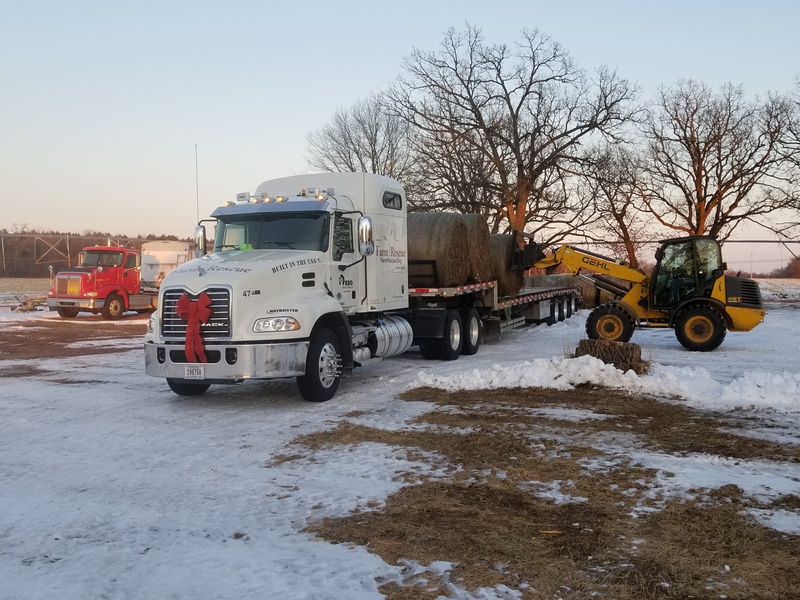 Unit 47 is loaded with hay at Christmastime to deliver to ranchers affected by wildfire and drought. 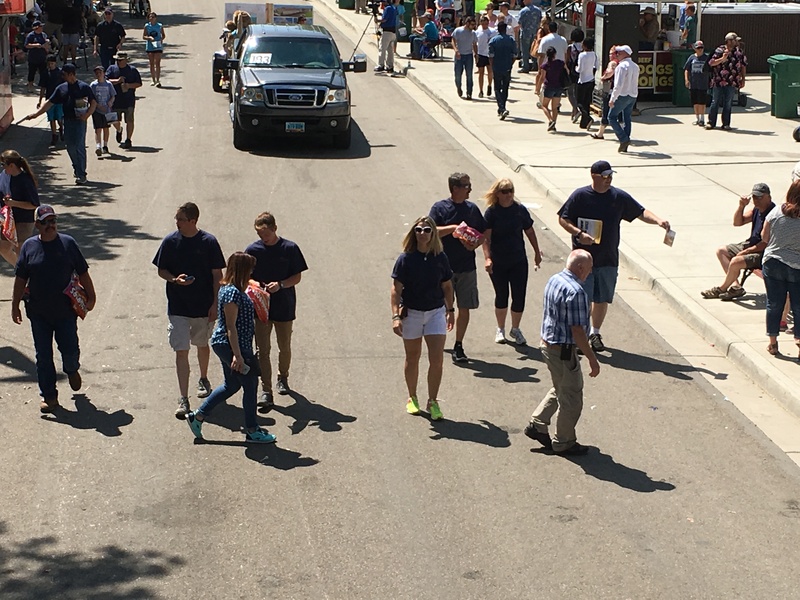 Minot area volunteers come together for the State Fair Parade. They walked over a mile during the event, handing out candy and Farm Rescue materials bringing awareness to our mission! 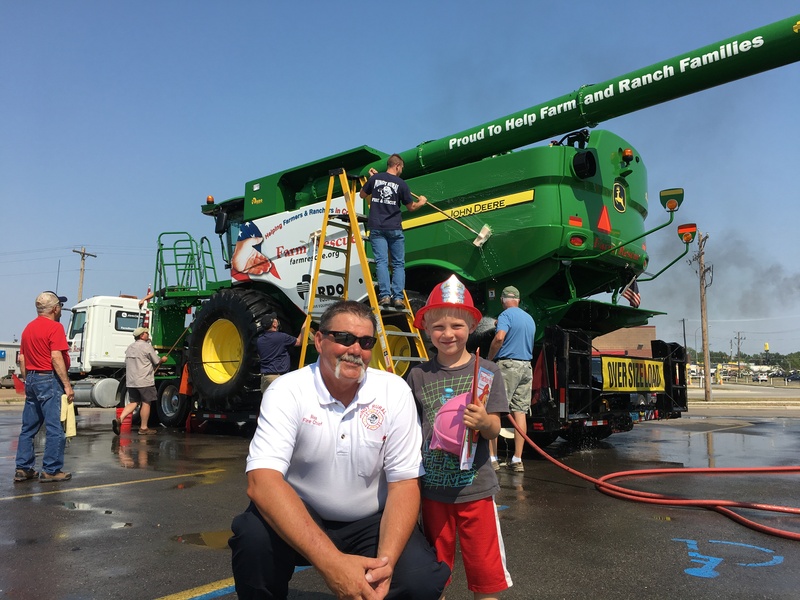 The Minot Rural Fire Department helped clean up equipment for the North Dakota State Fair.